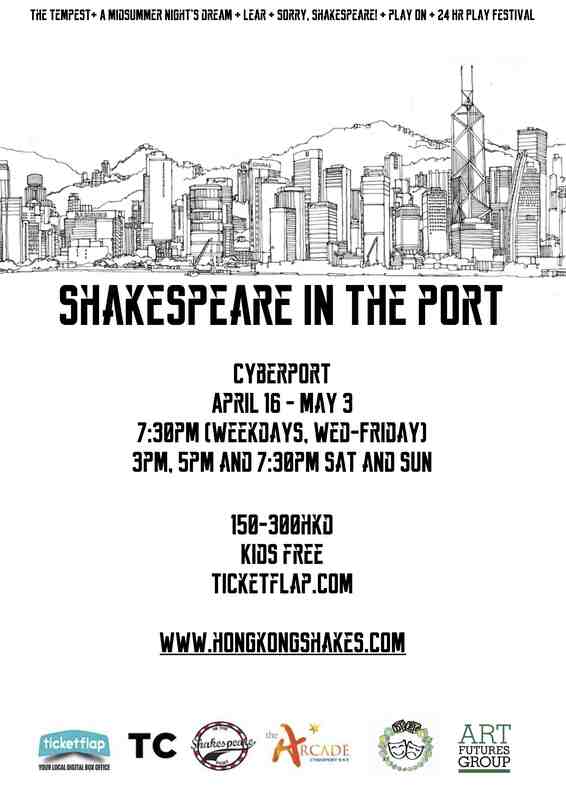 Shakespeare in the Port is a simple vision of bringing affordable, accessible Shakespeare to the public of Hong Kong. Often people think of Shakespeare as boring or too expensive to attend. We wish to break down these barriers and create an artistic experience that people of all ages can enjoy. And a special limited run of our hit tour show: Sorry, Shakespeare! *Shakespeare in the Port is a rep festival. You can see 1 show with a weekday pass and see 3 shows in one day with a weekend pass. Include the first ever 24 Hour Play festival in Hong Kong, Play On Community Arts Fest, Spoken word performances, live music and much more!